After listening the name of Durga Puja, Firstly we thinks about West Bengal.Although Durga Puja is celebrating every city of India every district, but the matter of Bengal's Durga Puja is something else. 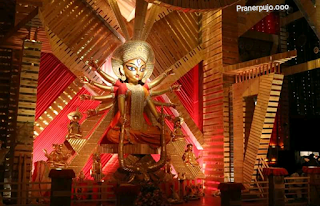 Yes, Dussehra, Navratri and Durga Puja festival are the same, but in different states this festival of Durga Maa is called by different names. Today we will talk about the Durga Puja of Bengal. The best festival of Bengalis is Durga Puja. All year they wait for this. These Four days of Durga Puja are very special for them. How can we forget Dussehra ie Vijaya Dashami? This is a special day in itself. There is something else about the worship of Bengal. If anyone wants to enjoy this festival, then he can go to Bengal in Kolkata and enjoy the festival. These days, the metropolitan Kolkata gets ready like a bride. People from abroad come to Kolkata at the time of worship. 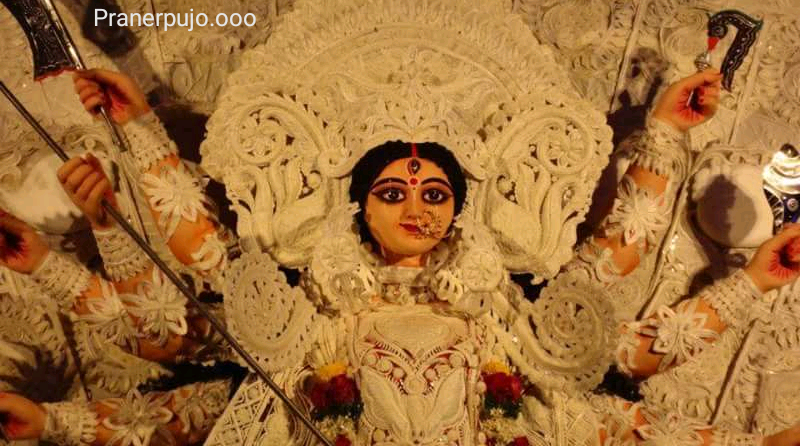 Do you know that there is some special significance of Durga Puja in Bengal. Let us pay you some special things of Durga Puja in Bengal today. Which makes this festival the most different here. 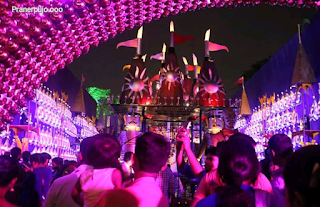 The real form of Kolkata appears in Durga Puja only. Kolkata is called the City of Joy. In fact, this city is a city of festivals, the city of joy. During the Durga Puja, everybody forgets casteism, crossing the age limit and enjoying this worship in just pandals. These days big, old, young and women are seen walking around pandals, forgetting all the work, they just gather in the worship of the mother. 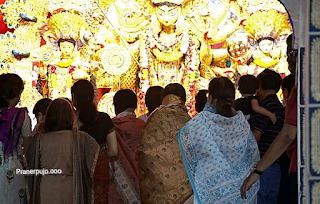 In fact, the worship in Bengal is not only about remembering worship, worship or mother but it is time to make fun by forgetting all the sorrows and grief of the whole year. In this festival all the people of the family simultaneously visit the mother. Respect them and establish them only at home. In every corner of Kolkata, from North Kolkata to South. From Naktala to Behala, there is definitely a pandal in every street of Bagbazar, Shyambazar and Kolkata. Many people establish mothers in their own home and worship them at home for 4 days or more. A couple of months ago, the preparations for Durga puja began in Kolkata. Pooja pandals are made in many special ways. On the first day, the color of the mother is colored and this is special every day. This series continues till ninth. But a week before the Navratri begins, the statue of Durga mother is ready, but her eyes remain. 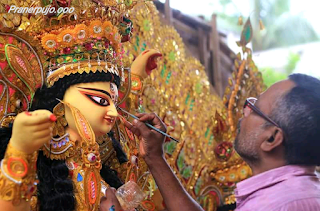 On the day of Mahayala, the eyes of the Goddess are prepared. It's called Chokkhu Dan. Eyes donation It is believed that on this day Goddess comes to earth. The most important thing about Durga Puja in Kolkata is that people give lines to see the pandals for statue in the night. They get out in the day and they see the pandals daily till late night. Actually, Pandal's special point is that pandals are prepared by spending millions of rupees. For this, months are ready. 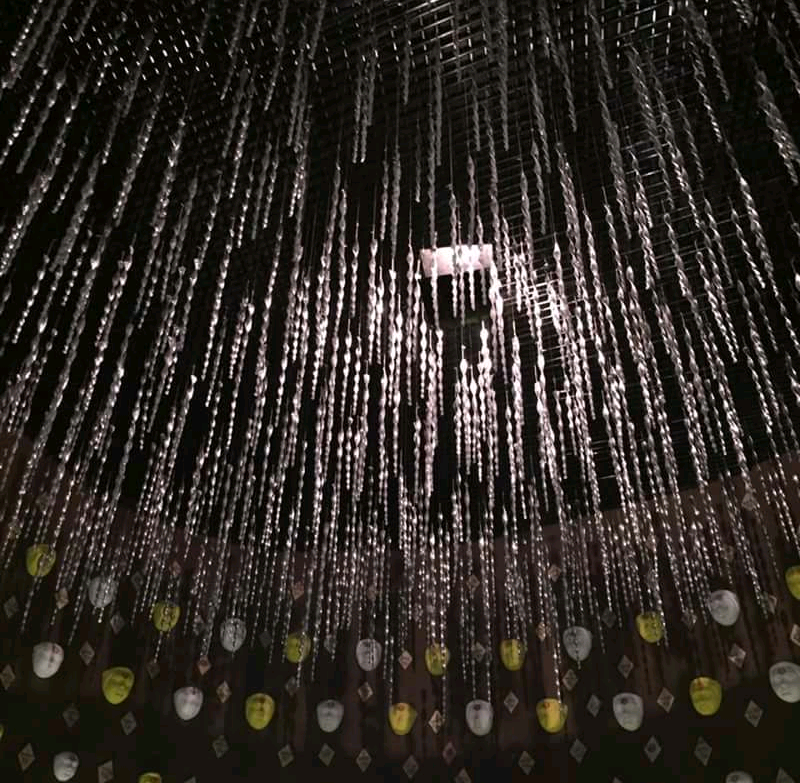 The pandals are decorated so beautifully that seeing your eyes get shocked. The biggest thing is that there is competition in pandals. 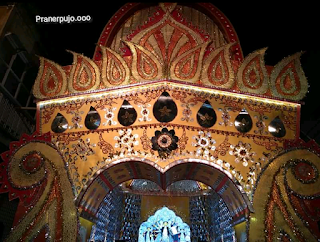 Whose pandal is more attractive, which is more crowded, according to which the prize is also given. There are some special pandals of Kolakata that always create pandals with the help of a social message, to spread awareness. 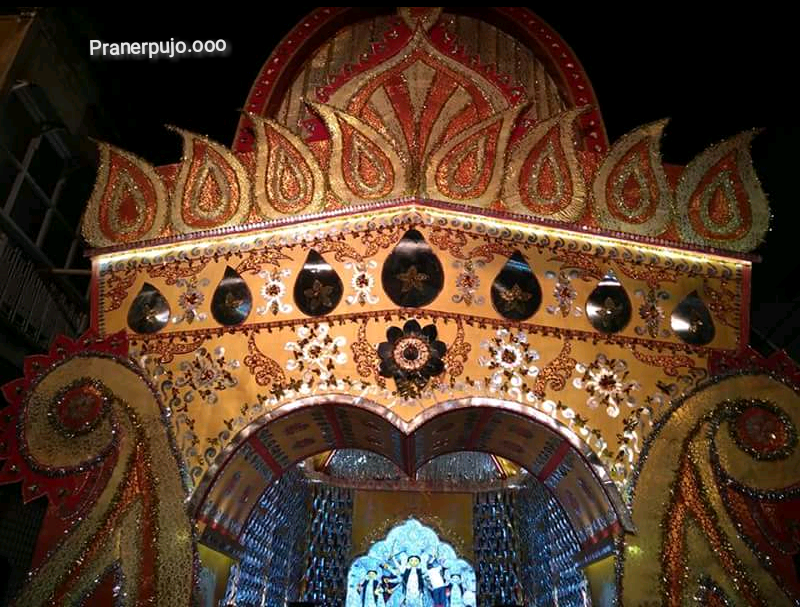 The decorations and lights of pandals are worth seeing. 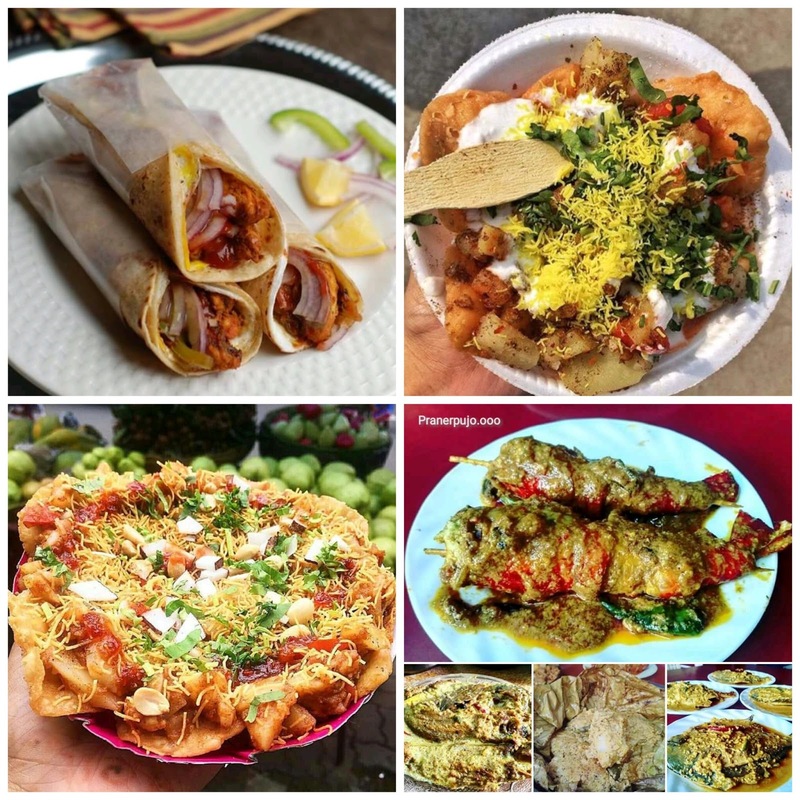 Such as Behala, South Colacata, North Kolkata, Mohammed Ali Park, Chetala, Bagbazar etc. You must have seen that a banana peep is worn in front of the statue of a mother wearing a sari. In fact, in the morning, on the seventh day, a small banana seed is worshiped in the form of a cola bowl. She is dressed in a sari and she is worshiped. It is not necessary that you go to eat in the big restaurant every day, but Kolakata's street food is very interesting. There are stalls of many things to eat in the long queues outside the pandals. You can enjoy a pooja by simply carrying a wedge roll in hand. All eat out with their family only. There is a long line in the restaurant. Women get discharged from cooking in the house. They are out of their kitchen for some days and eat out with the family. 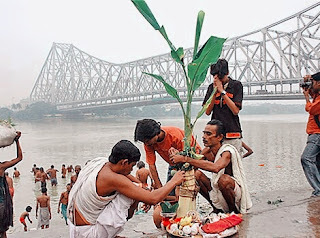 This is special in Bengal, the prevalence of Kumari Puja is very high. In the streets, people worship the virgins in the streets. Kumari Puja is celebrated on 4th day of Durga puja. The virgin daughters are worshiped like Durga Maa. Actually, Swami Vivekananda started its practice in Belur Math. Ashtami is very special. On this day women wear red sari, the boys wear dhoti and punjabi, they reach the pandals and Pandit Mashai gives flowers and palash flowers in their hands and do arati and give flowers. Actually, the Goddess recites the mother's mantra. 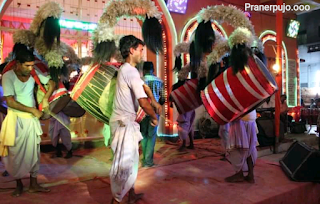 The most important thing is that for 9 days, the sound of Dhak Dhol is heard outside of your mother's pandals in your own house. Sunlight is aarti and pandals are decorated with different types of flowers. During the worship in Bengal, people come from far away from different cities to see this scene of Dashami. On Vijaya Dashami, there is a lot of crowd in the mother's pandal. Along with the joy of giving away the mother to the mother, all mothers are said to be goodbye with excitement and with the sadness. 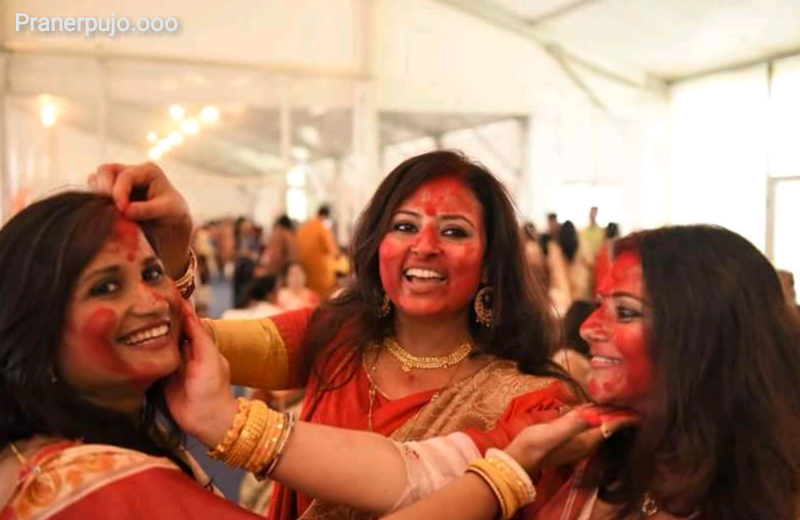 Wedded women wear red saris and bring vermilion in the forehead and reach the pandals and give the mother with a loud voice. They make each other sluggish and the vermillion plays. The elders take the blessings of the elders and wait for the mother's next year with damp eyes. *In West Bengal Durga Puja is a 4 Day Festival but it's not a 4 Day festival because the feeling of this festival started before 1month ago... 4Day means it's the Main Four Day of Great Celebration.. First Day is "Saptami", second is "Ashtami", third "Nabami" and the Four or last day is called "Dashami's".